Microbes (viruses, bacteria etc) and their hosts (complex multicellular organisms) co-exist for millions of years. This co-evolution led to the development of intimate interactions between both parties. Such interactions may be essential for the pathogen to replicate (e.g. recruitment of host factors) or for the host to limit spread of the pathogen (e.g. 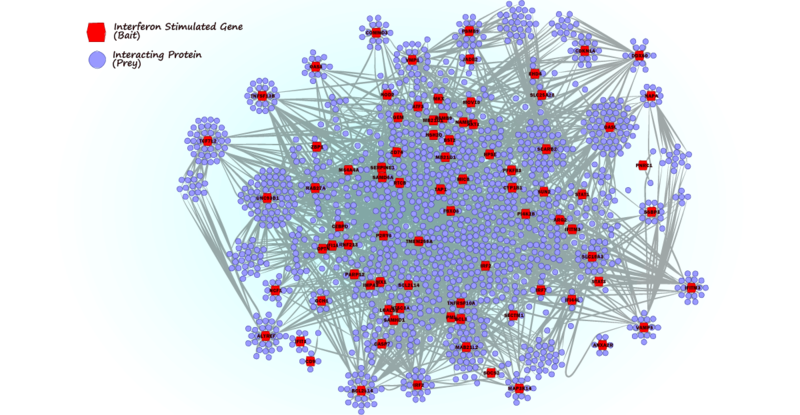 proteins of the innate immune system). 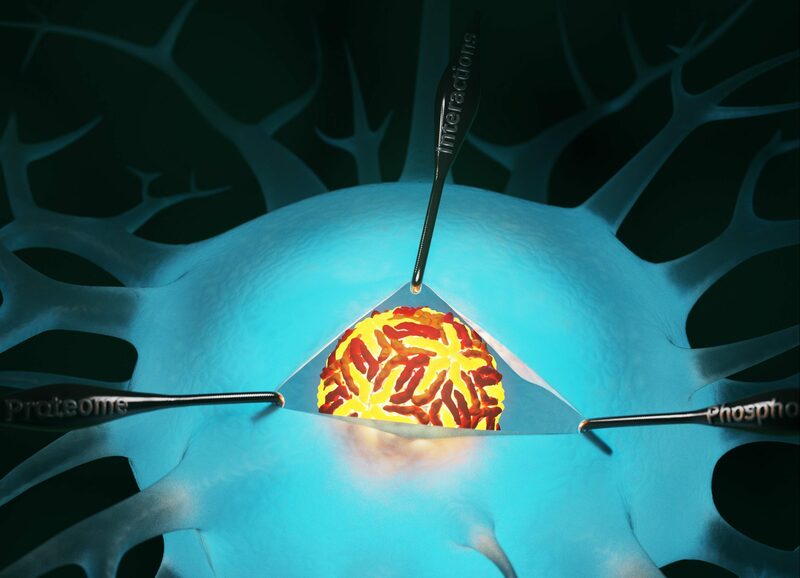 Some pathogenic microorganisms, however, can evade the immune system and accellerate disease. 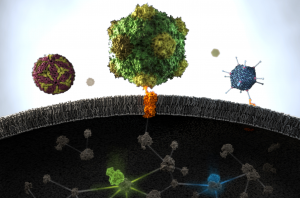 Our group is interested in understanding the interactions between pathogenic viruses and their hosts on molecular and functional levels, focusing on RNA-protein and protein-protein interactions. Virus proteins interact with the host cell receptors on the membrane and signalling proteins in the cytoplasm. Andreas gets ERC Consolidator Grant! Uncovering Zika virus-host interactions through orthogonal proteomics. 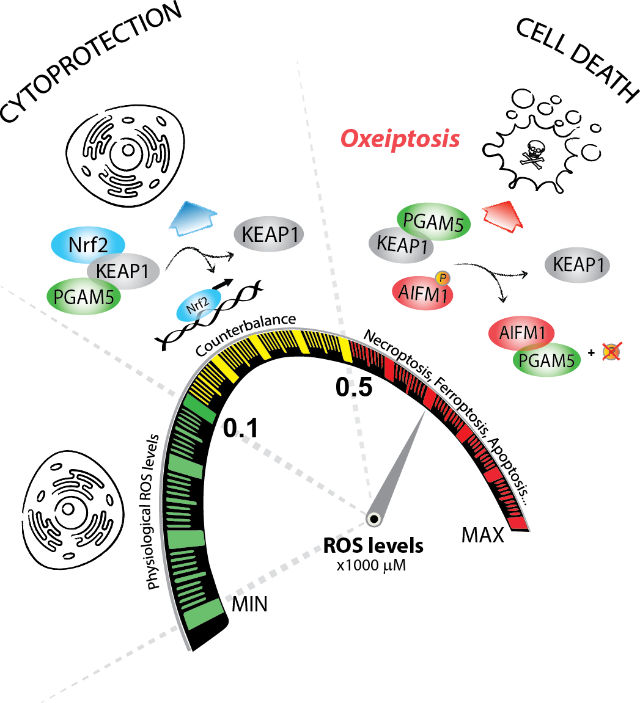 Pietro and Andreas comment on Oxeiptosis in "Cell Death and Differentiation".